The first production A330neo aircraft visited South and North America during what Airbus describes as a worldwide route-proving flight test exercise. The tour was designed to demonstrate to aviation authorities its compatibility with airports and readiness for airline operations. The jetliner – an A330-900 version in the livery of TAP Air Portugal, the jetliner’s launch operator – is equipped with a three-class Airspace by Airbus cabin that offers more personal space for passengers, bigger luggage bins, a new generation of in-flight entertainment, wireless connectivity and full LED ambient lighting. 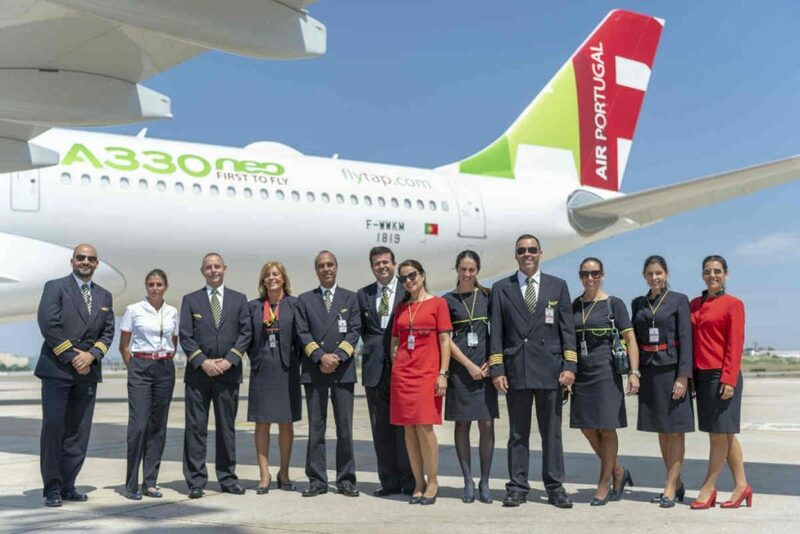 After a stopover in Lisbon, TAP Air Portugal’s home city (and future home of 21 A330neos currently on order by the airline), the A330-900 crossed the Atlantic Ocean to the Americas where it paid visits to the Brazilian cities of Rio de Janeiro, Sao Paulo and Recife, as well as Miami in the United States. Following its Americas stopovers, the A330-900 returned to Europe, then continued toward Asia for the next phase of its route proving campaign, which includes ETOPS (Extended-range Twin-engine Operational Performance Standards) flights and testing airport handling services. Its three-week flight test exercise, explains Airbus, will see the aircraft spend some 150 hours aloft as it visits 15 major airports across five continents. Airbus describes the A330neo family as its newest-generation versions of its twin-engine A330 jetliners. Produced in the A330-900 configuration and the shorter-fuselage A330-800, the two NEO (new engine option) aircraft share 99 percent commonality. They are powered byRolls-Royce Trent 7000 engines and feature a new increased-span wing, along with composite wingtip Sharklets inspired by those on the A350 XWB.